These attractive, high-quality cone chalk holders keep your cone talc safely mounted on the wall. Cone talc is great on your bridge hand, but it doesn't do any good when it is broken on the floor. 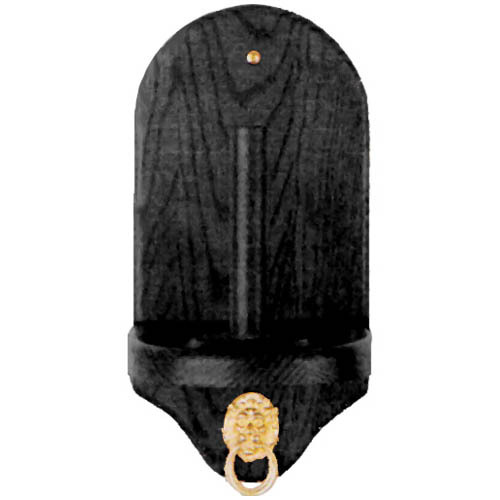 The holder is adorned with a decorative brass accent piece. This cone chalk holder has a black finish.